User can adjust the 0-10V analog signal either by infinite switch knob or by IR remote. 2. Can dim 0-10V signal either by infinite switch knob or by IR remote. 1. Professional advice according to your needs. 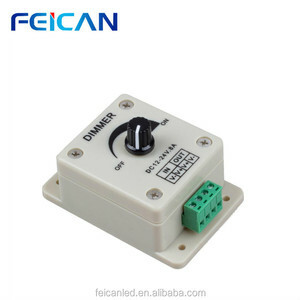 FCC RoHS CE china supplier Led Single Color Dimmer, PWM Digital Dimming,DC12-24V,Wall Led Dimmers Products Description : Single color dimmer can achieve step-less dimming. It adopts the knob control manner. According to actual needs, users can transfer the light to the appropriate brightness. 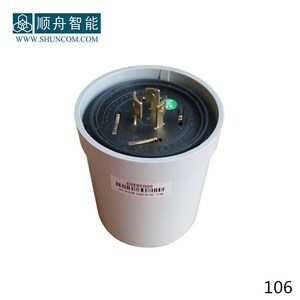 It applies to LED street lighting, office, home, and industry area. The controller can work together with MEANWELL and MOSO LED driver for PWM or 0-10V. And it also works with led lighting control system to achieve long-distance control by PC, mobile phone, tablet, touch panel and remote control. (10-400W) (4) Plastic cover Non Dimmable LED Driver. 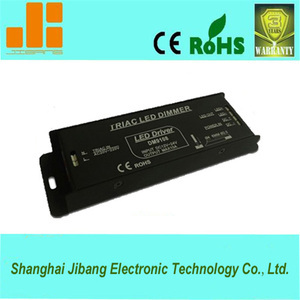 (10-60W) (5) Thin Slim Plastic Cover Non Dimmable LED Driver. (10-45W) (6) Triac CV Dimmable LED Driver. 13. 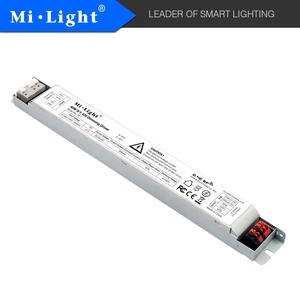 Suitable for indoor led lighting applications 14. 3 years warranty Installation and Working environment: 1. Make sure work in proper environments are stated in this Guide. 3. Avoid free of load while a power supply is powered on, keep proper loading 4. Always keep good ventilation 5. Do not mount on wood or flammable surface, keep minimum 5CM for LED power supplies each other. ) 88% A C Current 0.22A/230VAC 0.47A/110VAC Leakage current &lt;1mA /230VAC P ROTECTION O ver current 95 ~ 108% S hort circuit Hiccup mode, can recover itself after unusual disappear Environment W orking TEMP. 9 YRS Shenzhen Dragon Beauty Optoelectronic Co., Ltd.
11 YRS Hangzhou Singo Tech Co., Ltd.
1 YRS Shenzhen YuTai Technology Co., Ltd.
4)With switch,maximum current 1A,standard wiring terminal. 6)Simple and easy for wiring,rotating to stepless dimming,no flicker. 4)With switch,maximum current 1A,standard wiring terminal. Functions: 1. It provides 100 grade successive approximation gray regulation with soft dimmer and no blinking, and truly realize the brightness of 1%-100% regulation; 2. New way of data transmission that the data is loaded in power line, which makes wiring simple; 3. Memory function enables its brightness and color value to revert to the state before the power cut, whenever it restarts; 4. The RGB model has the following functions: A. The light-dimming and color adjustment makes it start frequency flash when it is adjusted to a certain color with level adjustable 30 flashing speed. B. Seven colors spring to change, grade-30 springs to be changed into speed adjustment. C.
Alibaba.com offers 431 dimmer 220v pwm products. About 74% of these are dimmers. 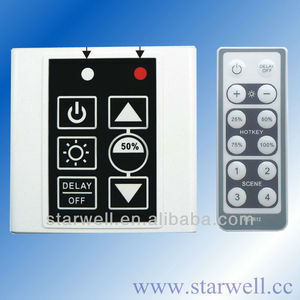 A wide variety of dimmer 220v pwm options are available to you, such as remote control, manual switch. You can also choose from free samples, paid samples. There are 431 dimmer 220v pwm suppliers, mainly located in Asia. The top supplying country is China (Mainland), which supply 100% of dimmer 220v pwm respectively. 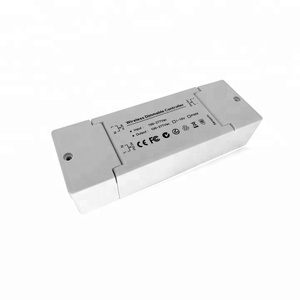 Dimmer 220v pwm products are most popular in Western Europe, Southern Europe, and Mid East. You can ensure product safety by selecting from certified suppliers, including 190 with ISO9001, 6 with Other, and 1 with ISO14001 certification.